King Wang So take care of all the brothers who committed treason. Prince Wang Won was left behind he was too stubborn between all of them yet he also had the desire to be the king but before he could do any more crimes the King exile him and announce his death for Treason. 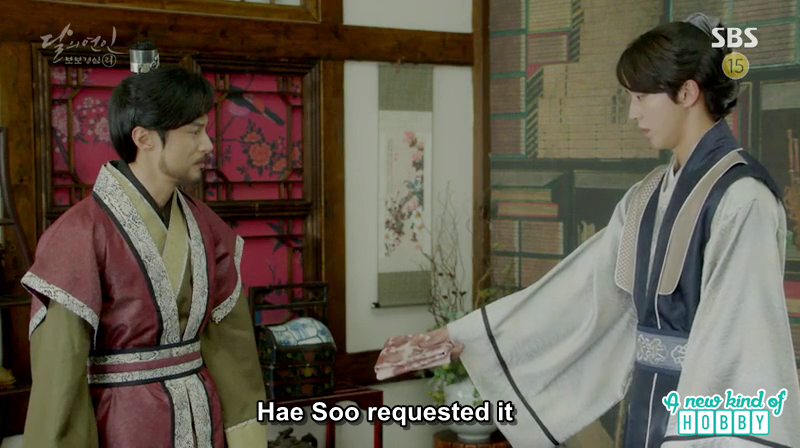 Baek Ah came to visit and gave Chae Ryung letter to him he told Hae Soo died and want him to deliver this letter to you. 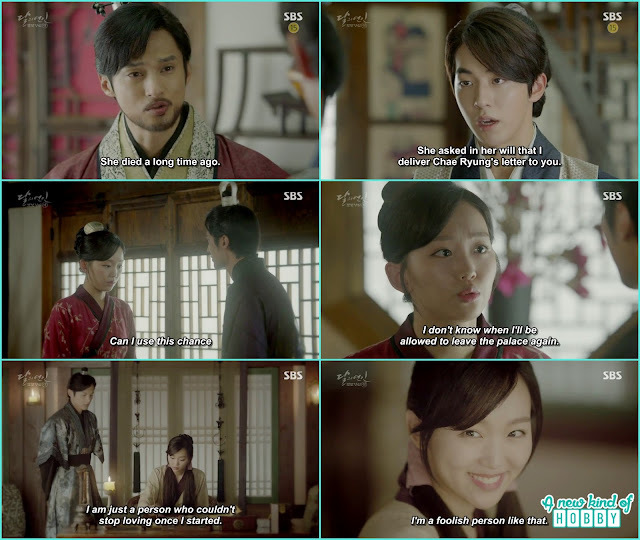 Wang Won was surprised why Hae Soo left Chae Ryung letter for him he has nothing to do with it. But out of curiosity he read the letter and realize what wrong he committed towards Chae Ryung. 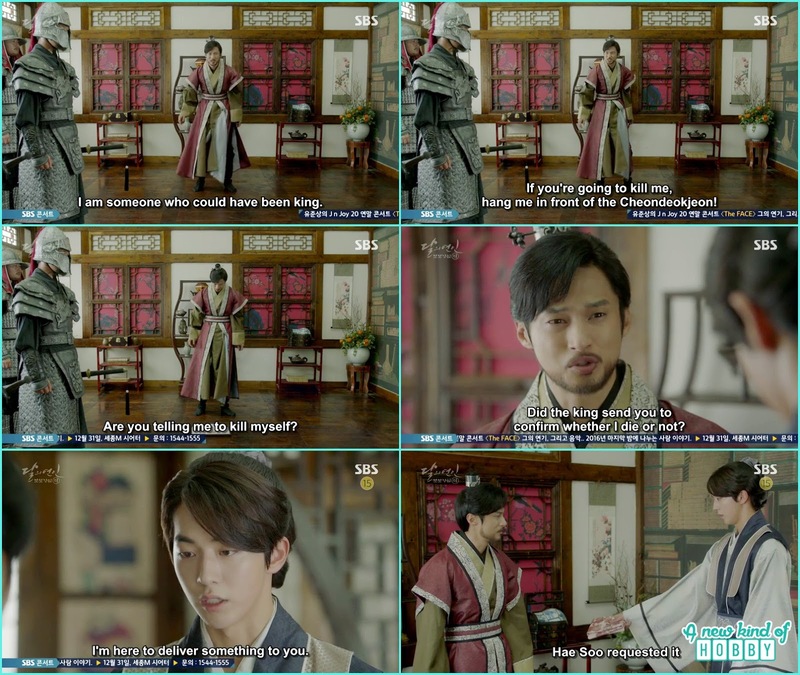 The letter contains the true feelings of Chae Ryung which made Wang Won remember the happy time he spend with Chae Ryung in the palace but never loved her with true heart just used her for his motives. The last words "Che Ryung didn't regret and didn't resent anyone " nailed Prince Wang Won heart he cried in despire for the very first time in his life reminding Chae ryung as the stupid girl that why didn't she hate him for ruining her life. It was the end of great Prince Wang Won's life he was executed for Treason he took his own life by drinking the poison. His death didn't make us feel sorry but we realize the enemy who hide behind the smile is more dangerous then with the sward.